Check out my other editions of “Down The TBR Hole” here. 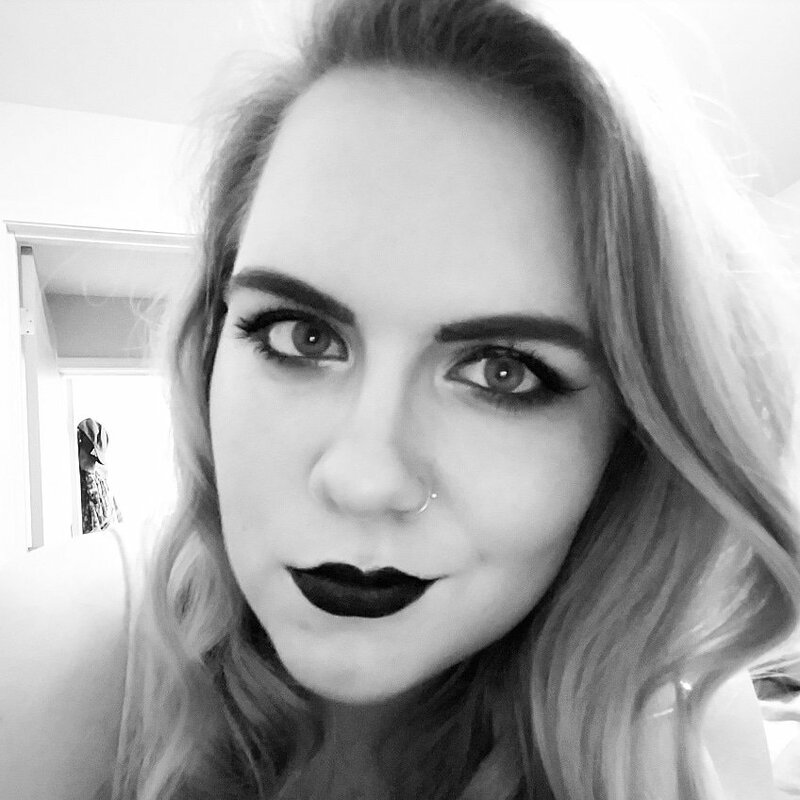 Top 5 Wednesday is a weekly meme hosted by Lainey from the Top 5 Wednesday Group on Goodreads. This week’s theme is fictional items, which there are definitely plenty of. I’m going to TRY and stick with items from books but I may wander into the movie or TV realm as well. Most of these books were made into movies too so don’t hold that against me! Flying shoes would definitely help me out in reaching some stuff on the top shelves at the grocery store and not to mention I think Converse are extremely stylish. I am a HUGE Firefly fan ok? So if I could just get my own ship and have that crew I’d be golden. Besides….who doesn’t want their own spaceship? I think you may begin to see a pattern here, I like things that fly. 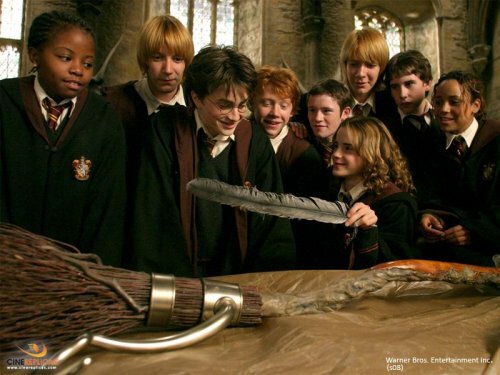 Sure I could have a wand but really I’d LOVE to have a Firebolt or just any flying broomstick really. But why not have the best and just go with a Firebolt? Because I NEED to have something from Middle Earth on this list! I didn’t want the One Ring though, that’s just bad news all around. So I’ll settle for Bilbo’s sword Sting, which glows blue when there are Orcs nearby. It’s pretty AND practical. So I think this list is composed mostly of stuff that lets me fly and swords, all of which are extremely cool. I COULD NOT have this list be complete without a lightsaber on it though! It’s my MOST wanted fictional item, even though I would most definitely injure or maim myself and others if I ever actually got one……. That wraps up this week’s Top 5 Wednesday! Are there any items on this list you would want as well? Any that you would want that I didn’t include? Let me know in the comments! Feel free to leave a link to your Top 5 Wednesday as well! This week’s theme is books on your Spring TBR, which is actually a pretty convenient one for me since I don’t actually plan my TBRs out because I’m a mood reader. This way I get to share with you all what books I will be reading, without actually committing to a set reading schedule. You can also click the titles to go straight to their Goodreads pages! I actually pre-ordered this book and STILL haven’t read it, it’s been over two months and I’m slacking. However it is definitely towards the top of my TBR since I am still very much anticipating reading this book. I adore YA fantasy books so there is no good reason as to why I’ve put this off. Yes I’m aware this is going to be a movie and no I haven’t seen the trailer because I don’t want spoilers of any kind. I’ve heard GRAND amounts of praise for this book so it was already on my radar but now with an impending movie I HAVE to read this. Movie release dates are a good deadline for me as well but the sooner I read it the better. 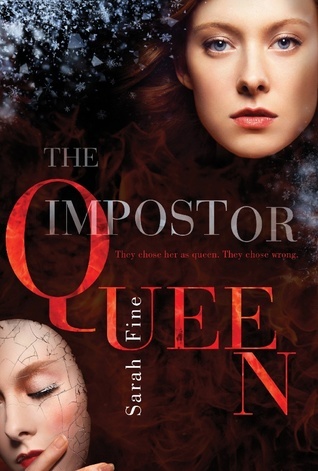 One of my anticipated releases of 2016, plus I love that cover. I still need to purchase this baby but I’m definitely planning on including it in my next book haul. It’s a mystery/thriller and I love myself a good thriller, especially with plot twists. This book was released today FYI! I’m not too sure what kind of atmosphere this book will have, maybe it’s a horror or maybe it’s just a thriller that delivers on the creepiness. Not sure but I’m HOPING it’s creepy at least since I enjoyed Bachmann’s short story in “Slasher Girls and Monster Boys”. I’ve been wanting to read this for a while and I happened to get it on my Kindle for $2.99 so I’m just excited that I own it now. It’s an alternate history re-telling of World War II, an era I’ve always been interested in, not to mention there’s a sort of death motorcycle race. Okay, I don’t actually know if it’s a death race but it IS a motorcycle race. Count me in for sure either way. This book has been on my radar FOREVER and it finally got released! The downside is I’ve seen a lot of negative reviews but also a lot of positive ones. I’m thinking I might just have to buy this one and determine where I stand on it myself. 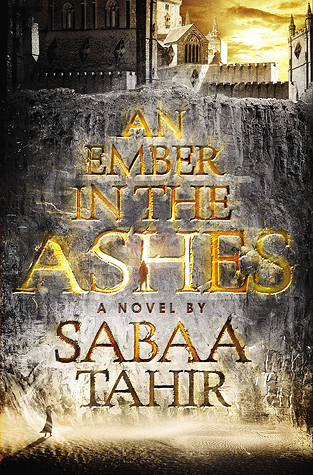 It’s a YA fantasy that blends Western elements with Middle Eastern ones, that just sounds irresistible to me. First of all GORGEOUS cover and second of all it’s got some decent reviews. I think it sounds like some sort of super mish-mash of genres and it might be more than a little…weird. Good thing I like weird. Did I mention I love the cover yet? Even if it isn’t that great it will make a fine addition to my shelves! I actually wasn’t that interested in this book right away, it seemed way too romance-y for my tastes. But when pretty much every single new YA release was getting bad reviews I had to pay very close attention to which ones actually were getting good ones. “The Forbidden Wish” is one of few that have been getting nothing but fabulous ratings, so of course I started paying closer attention and I have now come to the decision that I mus town this book. 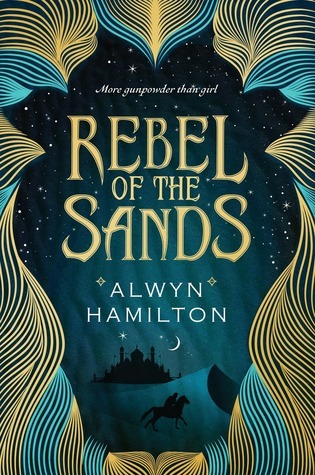 It’s an Aladdin retelling with some other very interesting elements, plus once again we have a to-die-for cover. Can’t wait to buy this beautiful thing in my next book haul! Once again I was not super excited for this book, it wasn’t something that really grabbed my attention right away. Like I said before when ALL of my anticipated YA books weren’t getting good reviews I had to find the ones that were getting them. “Starflight” was one that had a ton of good ratings, so naturally I nabbed a sample on my Kindle and pretty much fell in love with it right away. I’m a HUGE Firefly fan and it immediately reminded me of it, Solara is almost exactly like Kaylee Frye! I have the rest of the story awaiting my reading leisure on my Kindle now. I actually never really wanted to read this that much, but with the last book coming out this month and all of the hype I figured I would give it a go. I haven’t seen many good reviews from people with my similar tastes so my expectations are low. I’m currently reading this book which is why I placed it as #1 on this list and I’m 15% in and I’m pleasantly surprised by how much I actually like it. I’ve also heard that the end half of this book plus the sequel are even better, so I’m excited to finish! That wraps up this week’s Top Ten Tuesday for me! Are there any books on my list that are on your TBR as well? Have you read (and loved or hated) any of these books? Let me know in the comments! Also feel free to leave a link to your TTT as well! So this week’s theme is 2015 releases I meant to read and then ran out of time, and I think I’ve got more than plenty to choose from. It’s even worse when they’re sitting on my shelves! 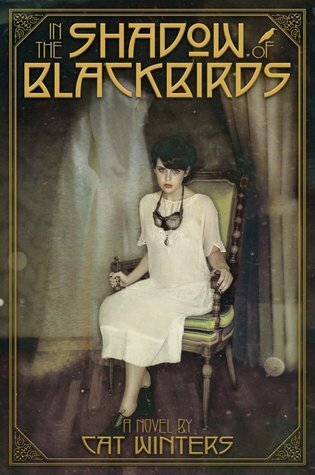 This is one of those books I just kind of feel “meh” about, I want to read it because it has a really interesting blurb and seems like it has potential for creepiness. Alas though, I never got around to reading it in 2015. My library has it so when I have time I CAN read it if I want. Another 1,001 Nights retelling and since I LOVED “The Wrath and The Dawn” I figured I’d give this one a shot as well but it wasn’t a top priority last year. It’s just something I forgot about……. I’ve heard so many good things about this book and I got it on sale on my Kindle for $1.99. So I was thinking I did a good job and then…..never read. Shame on me I know! Good news is since I bought it, I will eventually read it. I love horror so it’s no surprise I have a burning need to read this book! It has a decent amount of good reviews from reviewers I trust so I needed to get my hands on it. And then…..I never bought it. It’s definitely still on the TBR but I just never got around to reading it. Look at that gorgeous cover! And it’s basically supposed to be a lot like Inception. How does any of that not seem awesome, right? That’s what I thought and bought a copy right away when it came out aaaannnnndddd haven’t read it yet. This is an alternate history retelling, those are always awesome right? Well I’m not exactly sure anyways I wanted to read this a lot and had it in my Amazon cart multiple times but just never committed. Now I think it’ll have to be time to get a copy and read this awesome sounding book! I bought a copy right away, right away when it came out! And I still haven’t read it! It’s been almost 3 months! I loved Percy Jackson and couldn’t wait for Riordan to write about NORSE mythology. I’m kicking myself every day because I haven’t read it yet. There’s no excuse for me not reading this! I have a copy, everyone’s read it, and it’s hyped up like nobody’s business! I’ll get around to it one of these days, from what I’ve read I think I’ll breeze throughout. Regardless of the fact that it’s 600 pages. Have you read any of these books or are they still sitting on your TBRs? Did you love/hate any of them? Let me know in the comments! This week’s theme is bookish resolutions for the new year, so I decided to do books I resolve to read in 2016! Now there are a TON of eligible candidates for this list but I just kind of selected a few I think I actually WILL get around to reading this year. Also this list won’t contain any of the books that are already on my January TBR since you know…I’m planning on reading them this month. If you want to check that list of books out the click here. I’ve been meaning to read another Cat Winters for a while now and this one seems to be a favorite. I really enjoyed Cat’s other book (not yet released) “The Steep & Thorny Way”, she does such an excellent job at immersing you in the time period. She does historical fiction in a way that I really like, she mixes it with supernatural elements which for me is a huge plus. So I’ve had this on my Kindle for a few months now and I’m sad I haven’t read it yet. 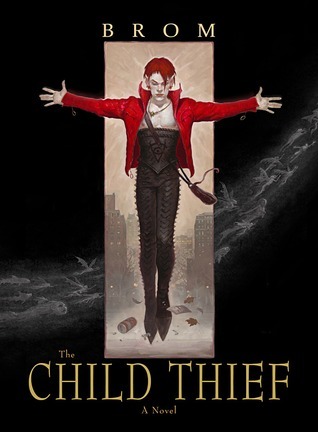 It seems to get a lot of love from people and I’m a sucker for Peter Pan AND dark retellings. This has both. So really the only thing that’s holding me back is an already full reading schedule, hopefully this one will get worked into it this year. I bought this book I don’t know how long ago, it’s been sitting on my shelf forever. 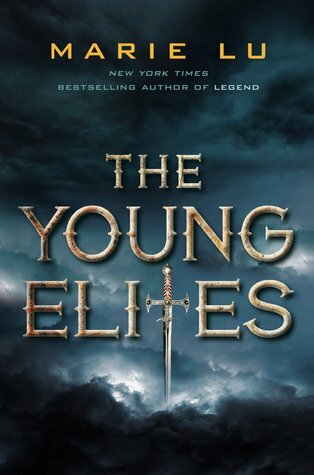 It’s advertised as being a YA version of Game of Thrones pretty much, so I’ll have to like it…I think. So since there’s a lack of “Winds of Winter” this year I’ll have to improvise. Nope, I haven’t read any Julie Kagawa. I need to change that. I’ve heard nothing but good things about this series specifically and I’m really looking forward to reading some of this author’s work. Plus I like some good vampire fiction every now and then. I’ve got some high expectations for this book so I’m hoping it delivers. I don’t think I’m the only one who absolutely WORSHIPS Rick Riordan and his Percy Jackson series. I also really love Norse Mythology (I am Norwegian after all). So reading this book is one of my top priorities this year, I’m sure once I start I’ll just devour it. I may or may not be the last person on Earth to read this….There was a HUGE amount of hype around this book and everyone seems to love it. Also I don’t have enough sci-fi in my life. The formatting (and cover) for this book is super unique and I can’t wait to finally read it. I refuse to have a 600 page book sit on my shelf unread. It makes me feel really lazy…. I’m late to the show on this book, I really love the cover and wanted to buy my own copy…..
My library has a copy so when I get time to read it I can! I kind of feel like people have mixed feelings on this book but I’m hoping it’ll be worth my time. Especially since the sequel will be coming out this half of 2016. I wasn’t exactly a big fan of Marie Lu’s “Legend” but this seems to be more of a fantasy book and I love fantasy. 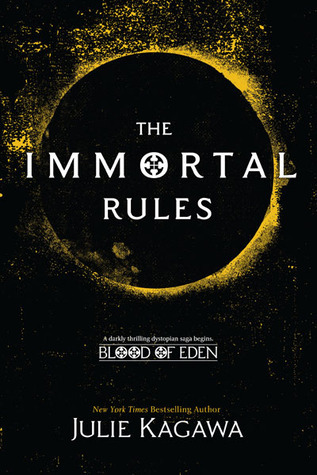 I have my own copy of this book in the hopes that I’ll enjoy this one, plus “The Rose Society” already came out…..
I’ve already read the first one (review will be up soon) and I definitely need to finish the other 3 books in the series. That is all. Do I even really need to explain this one? I haven’t read Brandon Sanderson before (shame on me) and I’m definitely needing to get my hands on these books specifically. So this whole post is basically a semi-tiny TBR plan for 2016. I’m really, really hoping I can get to this books but with new books coming out all the time who knows? Plans change and I’m a terrible mood reader…. Have you read any of these books? 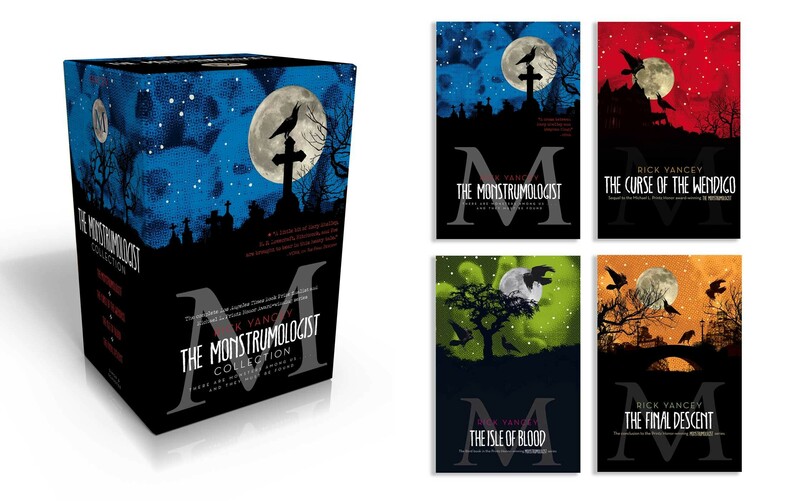 Are any of them on your 2016 TBR as well? Let me know in the comments! Top Ten Tuesday is a weekly meme hosted by The Broke and The Bookish! So head on over there to check it out and participate! This week’s theme is 2016 releases we are most anticipating, well the first half of the year anyways…. I have a LOAD of options for this but alas I must limit it to only ten, also I’ve done a similar post to this you can find here. So even though there are some books in 2016 I’m anticipating MORE, I’ll find new ones for this post so I don’t sound like a broken record. I think you all know by now that I LOVE Fantasy! That also leaves me being quite picky though. I need a cast of characters, unique mythology, and some fantastic world-building if I’m going to love a fantasy book. 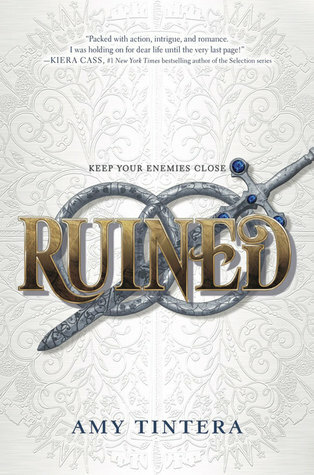 I’ve seen some positive reviews for this book and I’m hoping it fits my high fantasy standards! 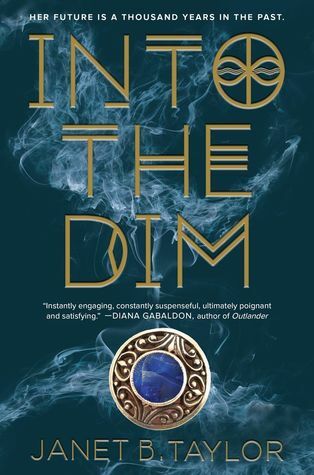 So far I’m moderately excited for this one, still pretty unsure on it since that romance sounds like it might annoy me…..
Well I think this pretty much sounds like “Outlander” in Young Adult form, and even though I haven’t finished “Outlander” YET it was pretty good from what I did read. Plus there’s time travelers, what’s not to be excited about? That’s one long description isn’t it? 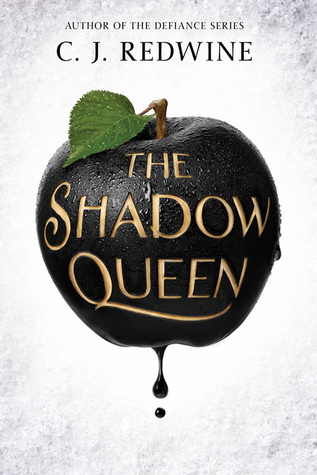 Pretty much the whole reason I’m excited is that it sounds like one kickass Snow White retelling. I can’t wait to see how the Huntsman (Kol) will be portrayed, and then you know there’s magic. This sounds freaking AWESOME. A heroine who’s hellbent on revenge? And she marries the Prince in order to get it? What part of that doesn’t sound awesome I ask you? Like I said I love fantasy, especially betrayal and revenge filled fantasy! Hopefully this one delivers all of that, I’ll be disappointed if she chickens out and doesn’t kill anyone……. What can I say? I love anything creepy, and this book sounds like it would deliver just that. I also really enjoy books with unreliable narrators, I think it really adds to the suspense and also sets the story up for non-stop plot twists. Hopefully this book lives up to these expectations, I read Tucholke’s short story in “Slasher Girls & Monster Boys” and wasn’t really a fan but she also selected all of the stories that went into that book. She had great taste, except her own story I thought fell a bit short. Like I said I hope she proves me wrong and this book ends up being fantastic! It’s in a very unique and exciting setting, a desert nation with a very Arabian feel. Plus there’s mythical creatures and magic! Sounds like a very interesting fantasy book, definitely unlike anything I’ve read before. The romance might put me off a little bit but I’m guessing if the world is built well then I won’t mind. Peter Pan is my favorite Disney movie, so yeah I like him. 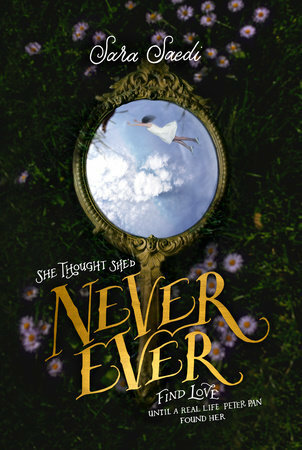 This is a Peter Pan retelling, yes I want to read it. 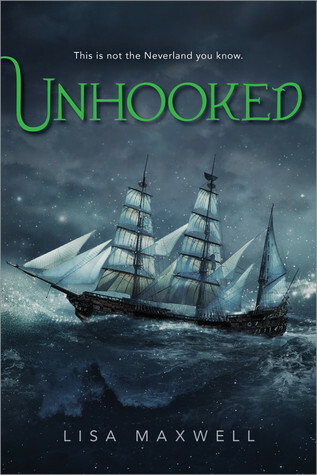 I don’t think it sounds AS good as “Unhooked” however, I’m hoping it’s something that will be worth my time. Another Peter Pan retelling…… So I’m pretty damn excited for a darker version of Neverland and a possible love triangle between Gwen, Peter, and Hook. You have NO idea how much I want that love triangle! I love Hook and Peter and having that play out in a book is a dream come true for me, seriously! First of all there was no hint at romance in the description, I like that. Her love is torn between two groups of people not two boys, I like that A LOT. Plus it’s got all of your basic magic and fantasy elements, I guarantee I’ll love this one. Plenty of reviewers are RAVING about how excellent this book is and I’m hoping it delivers. I am SUPER excited for this book, I NEED it NOW! 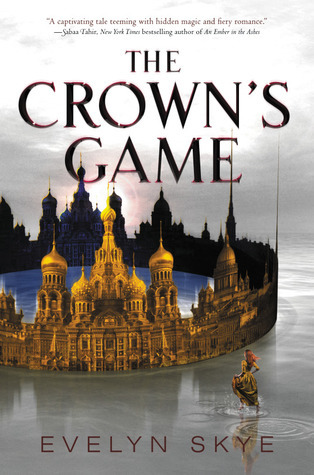 There’s Russian culture, magic, and a game that requires the two enchanters kill each other off? Sounds freaking awesome! Also I don’t know what it is but I find Russian culture very fascinating, so adding that into a fantasy world will be great! That concludes this week’s Top Ten Tuesday! Hopefully you guys found some new books to add to your TBR’s! Feel free to leave a link to your TTT in the comments below! Sorry for the belated post guys! I was trying to finish reading my book yesterday and write the review in between working and sleeping so Top Ten Tuesday didn’t get finished. This week’s theme is Best Books I’ve Read in 2015, it can be pretty much whatever you want. I’m just going with best books I’ve read this year, period. No limiting to debuts or genre or yada yada. I don’t think I have to gush about this one anymore to you guys, this book is a perfect blend of horror and an Alice in Wonderland retelling. If you’re a fan of either of those things I highly recommend reading it. This was one of the best books I read this year simply because it was very different for me. 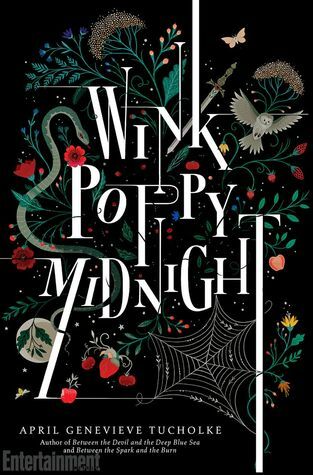 I haven’t read any dark retellings before and this was fantastic, I loved seeing my favorite Wonderland characters humanized and twisted! 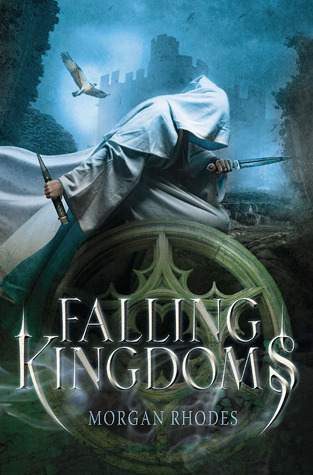 This is a fantastic YA fantasy book that frankly, I think is underrated. Sure I’ve seen plenty of people read it, but is it enough? Nope, not for me. 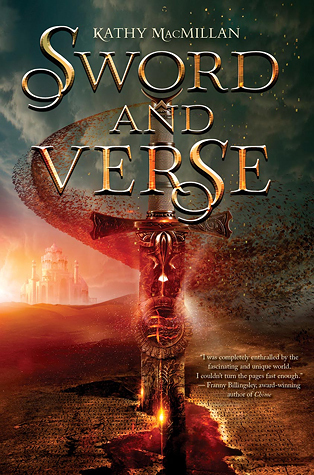 If you’re a fan of either the Game of Thrones TV show or the A Song of Ice and Fire books, this should be on your TBR. Being the avid fantasy lover that I am and the ASOIAF series lover that I also am, reading “Half a King” was a no-brainer. It certainly didn’t disappoint either! I loved the morally ambiguous characters and the betrayals and plot twists! It made for a fast paced and excellent read! So the deal with this book is you either think it’s scary or you don’t. I was surprised when I was terrified by it, normally I don’t scare too easy. However, when I was 10 I watched “The Grudge” leaving me with a fear of ghostly Asians. Seriously I’m scarred for life by that movie. Therefore I was terrified of this book. 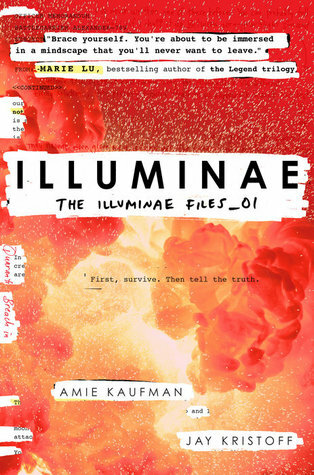 Reading a YA horror book that succeeded in making me scared of the dark again is really impressive, so that made this book one of the best ones I read this year. This one was recommended to me by Ariana @ The Quirky Book Nerd and it was a fantastic recommendation! I love laughing and therefore loved this book. I don’t think I’ve laughed that hard while reading something in SUCH a long time. That being said it definitely made for one of the best books I’ve read this year. Such a light-hearted, hilarious book deserves that honor. This is my first anthology and it was clearly a great pick. I loved almost every story with the exception of a couple duds. Mostly I found myself either intrigued or vastly creeped out. Which is my goal when reading anything in the horror genre. Plus if you can scare me in less than 50 pages you’re doing great. This book has a great selection of short, horror stories making it one of my top ten favorite reads of 2015. I’ve read all of Flynn’s books, but something about this one stuck out from the others. I found the plot to be so much MORE shocking than in her others. The plot twists were definitely doing their jobs, I was so freaked out while reading I didn’t even know what to do except flail myself around. I’ve read three of Flynn’s books this year but this one really stuck with me the most and I HAD to have one of her books on my list. It makes me sad to think about all the awesome Ness books I’ve been missing out on because I haven’t read him before. Now I must devour every bit of his work. This one is a book that I wish everyone would read, if I was filthy rich I’d buy you all a copy in the hopes that one day you’ll read it. It’s adventurous and also heart breaking. It’s everything a book should be in my opinion. This book is magical in every single way. The world building is fantastic and the characters even more so. I loved this book so much I can’t even properly describe my feelings on it. Just trust me when I say it was one of the best I’ve read. Another fantastic Patrick Ness book, this is a fine example of literary perfection. Seriously. It’s that good. Words cannot properly describe said perfection either. Just go read it. I am not a romance fan, this book really swayed me though. It centralizes around the romance I was getting all the warm fuzzy feelings. That in itself is quite the feat for a book so it was an easy decision for me to decide this was one of the best books I’ve read period especially this year. Seriously I loved this one. That wraps up this week’s Top Ten Tuesday! Any books on my list that you read in 2015? Any you read before or that are on your TBR? Let me know in the comments! Feel free to leave a link to your TTT!